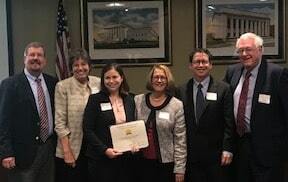 On October 8, Belmont University College of Law hosted the Tennessee Supreme Court's annual recognition of attorneys, law students, and organizations in the state that have received distinction in pro bono service. Dodson Parker Behm & Capparella was honored for the fifth year in a row for its firm-wide pro bono service. The firm is proud to stand with lawyers and law students across the state who are working to expand access to justice.